Need new clothes for this new season? 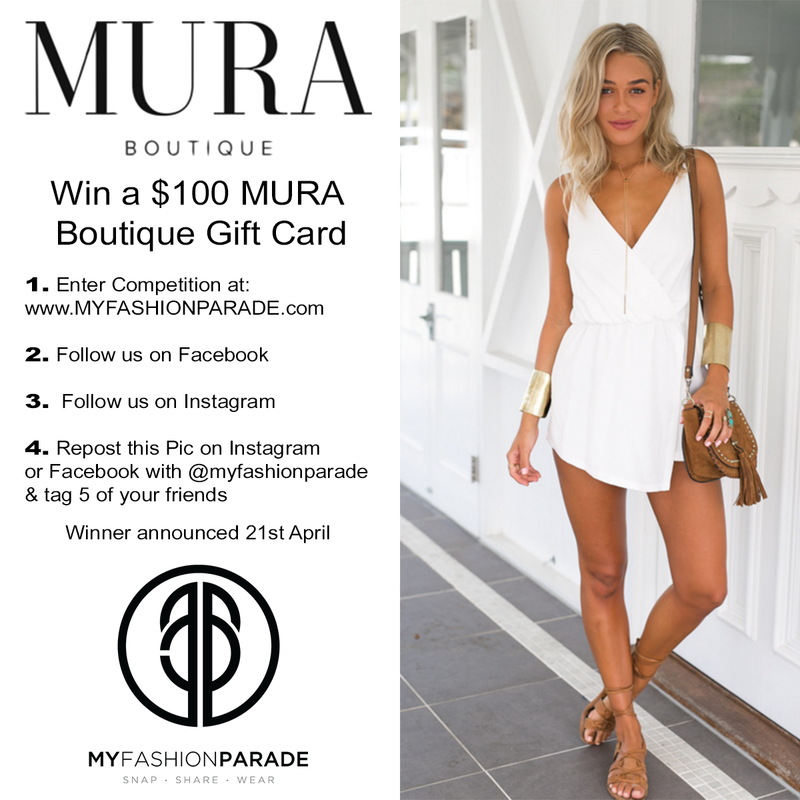 The uncoming MYFASHIONPARADE App is giving away a $100 gift card from Mura Boutique to a lucky #AOfficial reader this month, you just have to subscribe with your email at WWW.MYFASHIONPARADE.COM and for more entries you can follow MYFASHIONPARADE on Instagram, like MYFASHIONPARADE on Facebook or Repost the photo of the giveaway on instagram. Scrow down below to participate.